Thank you for stopping by to explore the wonderful world of the MV Shannon Princess, a luxury hotel barge that exclusively cruises the fabled river Shannon in Ireland. 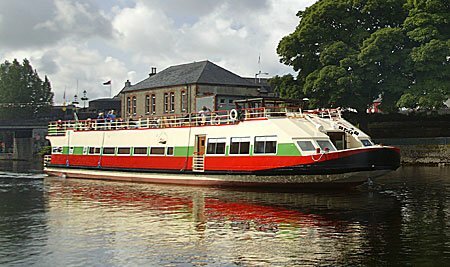 It is owned and operated by Irish husband and wife team Olivia Power & Ruairi Gibbons, who have combined their skills for boating, delicious food and Irish hospitality to create a memorable river cruise vacation. Together Ruairi as Barge skipper and cruise guide and Olivia as on board personal chef, lead a professional crew providing excellent and friendly service. Shannon Princess can be booked on an individual cabin basis or on a charter basis for private parties of up to 10 guests. 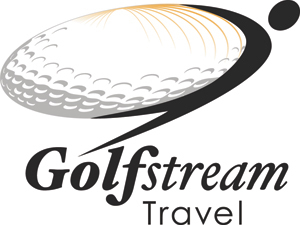 Golf cruises include 4 pre-booked tee times and transfers to and from the clubs. Only those golfing pay the supplement. Not all persons on a golf charter must play golf.